I’m so glad you’re back to reviewing! Welcome back. We’ve missed you. I LOVE Cool Ranch! 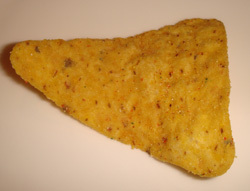 Although I still think Sweet Chili Heat is my favourite Dorito flavour. Thanks Jennifer. It’s nice to be back in the snackdom again. Ohh yay, you’re back!! So glad!! I would choose the doritos, though I have no idea what Ranch dressing is. yay.. i’m so happy you came back!! i knew i should keep this on my rss feed for the day you might return!! joy!! This is my favorite blog. Glad you’re back! Welcome Back! Cool Ranch Doritos have changed for the worse. They no longer have that creamy ranch taste anymore. They taste like regular tostada chips. They really do. The last time they had great flavor was when Jay Leno was doing Dorito’s commercials. That was almost 20 years ago! 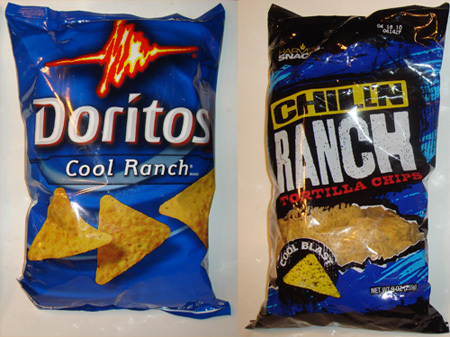 I moved to the UK and the one thing that still annoys me here is that the Cool Ranch Doritos are called “Cool Original” because people here didn’t know what ranch dressing was at the time. They have ranch dressing here now, and Cool Ranch IS NOT the “original” Doritos flavor. That would be nacho cheese, which they still call Nacho Cheese. 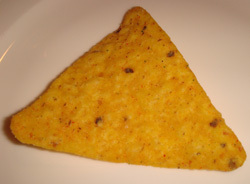 Anyway, I love Doritos and I hate the British.